In the opening match, Eddie Morrow beat Jack Pesek. Eddie Morrow from the island of Martinique. 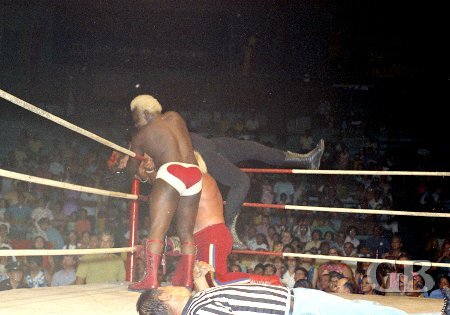 In a tag team match, Sam Steamboat and Bearcat Wright took two out of three falls from Fidel Castro and Harry Fujiwara. Bearcat Wright delivers a slap to the face of a stunned Harry Fujiwara. In another match, Sweet Daddy Siki won over Hahn Lee. 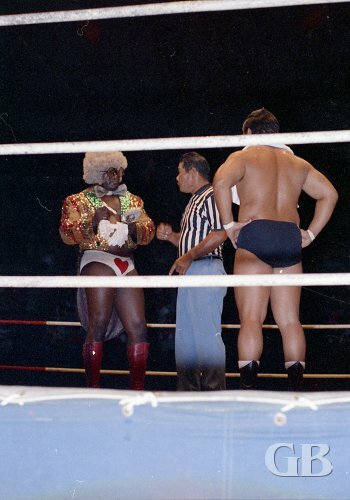 Sweet Daddy Siki chats with referee Wally Tsutsumi as his opponent Hahn Lee waits. Sweet Daddy plays to the fans with his mirrors. Sweet Daddy attacks Hahn Lee prior to the start of the match. 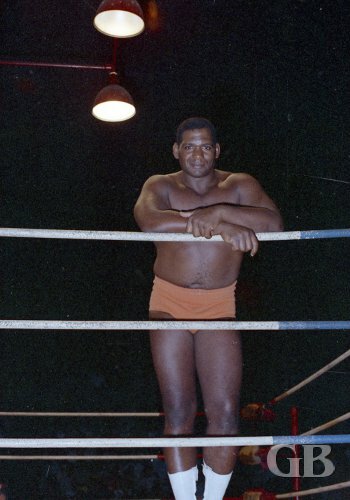 The main event featured a return match between Curtis Iaukea and Maddog Mayne held a few weeks earlier where both wrestlers were counted out of the ring. This time both wrestlers were chained together in the ring. Curtis Iaukea needed 17 minutes and 25 seconds to defeat Maddog Mayne for the victory. 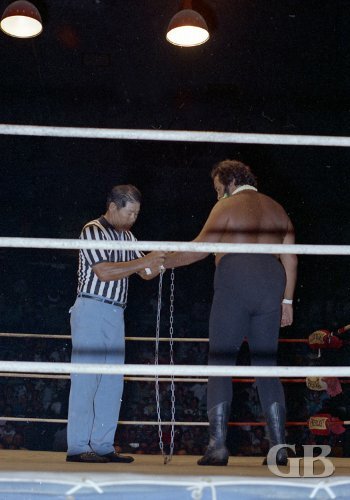 Referee Wally Tsutsumi attaches one end of the chain to Curtis Iaukea's wrist. Iaukea, still wearing his flower lei, attacks Maddog Mayne. Maddog Mayne has Iaukea in the corner and prepares to work him over. 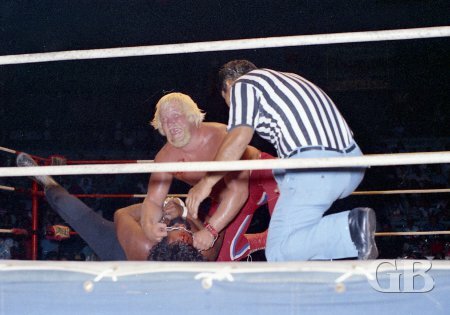 Maddog Mayne works over a bleeding Curtis Iaukea with the chain. Sensing victory, a smiling Maddog Mayne cranks up the pressure on a struggling Iaukea. A bleeding Maddog Mayne gets his comeuppance as Iaukea regains the advantage. 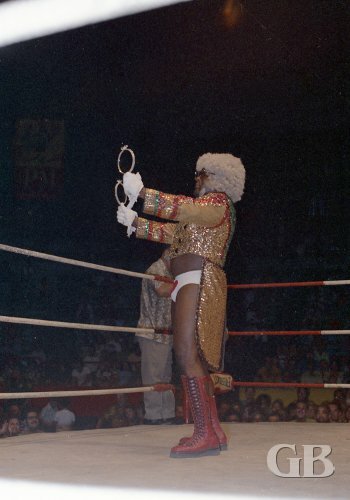 Sweet Daddy Siki comes to Mayne's aid and attacks Iaukea after the match is over.